Editor's note: A version of this article previously appeared at KISSmetrics.com. 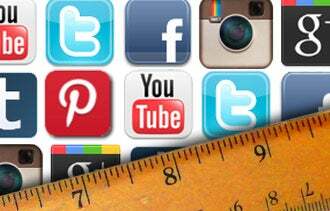 If you're using social media for your business, you should be measuring it. But don't measure just for the sake of having metrics. Instead, measure your social activities so that you can learn what's successful, what isn't and how you can improve. Social media is generally measured in two ways: ongoing analytics and campaign-focused metrics. Ongoing analytics, which track activity over time, are necessary for keeping up with the overall pulse of general conversation about your brand and company. Once your brand tracking is set up, you can just let it run and check in regularly to see how everything is going. Campaign-focused metrics, on the other hand, can help you understand the impact of targeted marketing initiatives and will vary from campaign to campaign, depending on your goals for each. An effective social media measurement program will likely include both ongoing and campaign-specific measurement. Before you jump into measuring every single tweet, photo and Facebook comment posted about your brand, first think about your goals with social media. What are you trying to accomplish or gain through these channels? Which channels are most relevant to those goals? Social media can serve a variety of purposes, from broadcasting news and information, to answering customer questions and engaging with a community. Generate a list of what you're trying to achieve from your social media efforts. Next, think about what you want your audience to do with your content on the social channels you're using. Are you trying to get them to read, share, reply, click, purchase or engage? 2. Create metrics to measure your goals. If you want to measure awareness, then use metrics such as volume, reach, exposure and amplification. How far is your message spreading? If you want to measure engagement, then look for metrics around retweets, comments, replies and participants. How many people are participating, how often are they participating and in what forms are they participating? If your goal is to drive traffic to your website, track URL shares, clicks and conversions. Are people moving through social media to your external site and what do they do once they're on your site? If your goal is to find advocates and fans, then track contributors and influence. Who is participating and what kind of impact do they have? If your goal is to increase your brand's share of voice, then track your volume relative to your closest competitors. How much of the overall conversation around your industry or product category is about your brand? After you've listed the metrics you want to focus on, find tools that capture these metrics. In some cases, social media channels themselves provide some form of analytics. In other cases you might need to use third party tools or build your own using APIs. If you're not sure which tools to use for which channels, ask around or do a quick online search and you'll find numerous options. 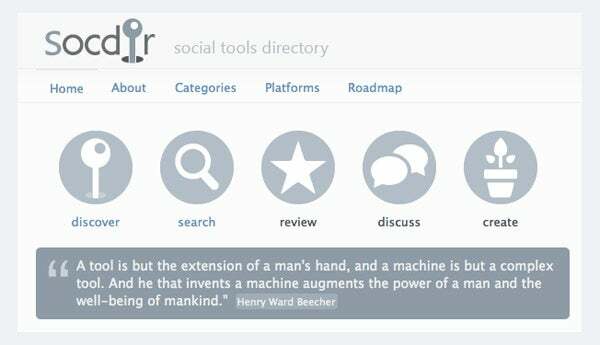 SocDir can be a useful source with a list of more than 300 social media metrics tools. Many social analytics tools work in real-time, so if you can plan ahead and set up tracking before your campaign begins, it can be easier to access the data you need later. On Twitter, for example, accessing tweets that are more than a few days old can be difficult and far less reliable than collecting and archiving them in real time. When possible, set up your measurement tools before your campaign begins. How do your numbers compare to what you expected? How do they compare to your competitors' or related products and campaigns? This can also be a good time to consider your schedule for regular reporting. Depending on your schedule, monthly or quarterly reporting may work best, but weekly reporting may work well for others. No matter the schedule, make sure you're checking in regularly on your metrics. In your reports, be sure to include benchmarks or other contextual information so that your stakeholders can quickly understand what all the figures mean. Also consider including visualizations of your data to help communicate your results quickly and clearly. Review your measurement program. How are these metrics doing? Are you missing anything? Was anything superfluous or unnecessary? Figure out what you can improve, make changes, and then measure some more. Check back in with the goals you set initially and make sure your new metrics help you address those goals. If you're participating in social media, you should understand how your content is helping you to achieve your company's goals. Reliable and consistent analytics can help you track your progress and improve when necessary.